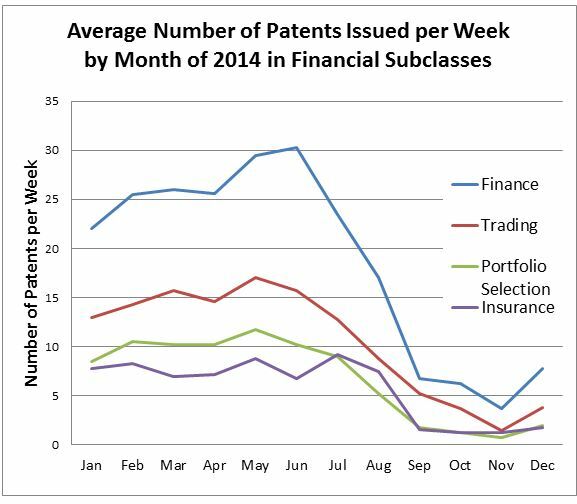 The grant rates for patents in the financial services subclasses for the first few months of 2015 more or less match the rates from the last few months of 2014. As the graph below shows, the grant rates took a severe dive from June to September, after the Alice decision. The grant rates have not rebounded, and if anything have continued to dwindle slightly. On an annualized basis, the grant rates have retreated to about where they were in the 2005-08 period. The graph below illustrates the annual grant rate in the financial subclasses since 2002, with 2015 pro-rated based on the first 20 weeks of the year. Everything is relative. While the rates are significantly lower than a year ago, they still match and exceed the rates from the early 2000s. There was a lot of hand wringing and ink spilled at that time about the proliferation of financial services patents. 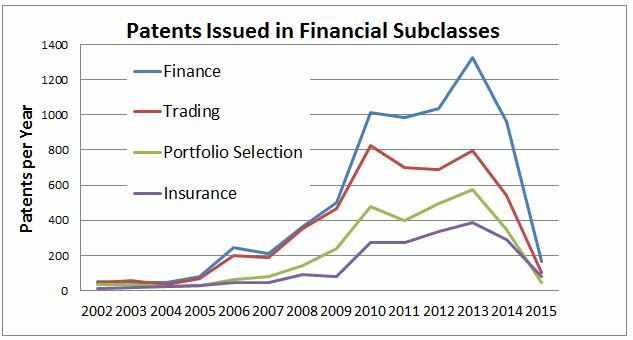 So, the bottom line is that grant rates are greatly reduced from where they have been, but financial services patents are still alive. Below is a list of the financial services companies that have been the most successful in obtaining patents over the last sixteen months. Bank of America has received 137 patents since the beginning of 2012, followed by American Express with 114 issued patents. Other active companies include USAA, Visa, The Hartford, and Goldman Sachs. 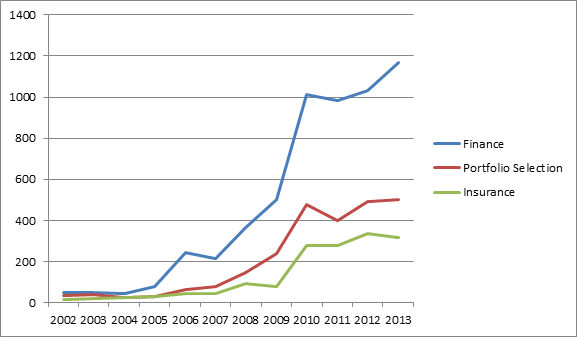 Bank of America has really ramped up its filings over the last few years. For example, just four years ago, in the sixteen months starting in January 2008 and ending April 30, 2009, Bank of America received only three patents. It’s interesting to see the different strategies employed by companies that seem to be somewhat similarly situated. Among credit card companies, Visa received eighty-one patents, Mastercard twenty-four, and Discover only one. Today’s Supreme Court decision in Mayo Collaborative Services v. Prometheus Laboratories, Inc. provides additional guidance on how to determine whether a new and not obvious method is patent eligible subject matter. 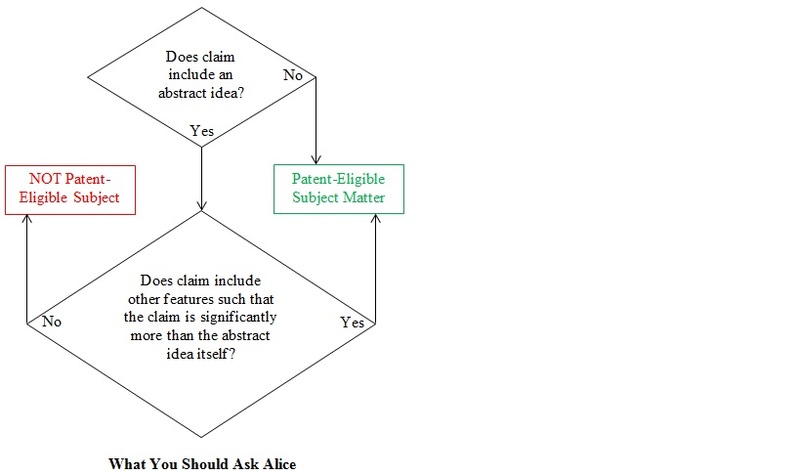 On its face, the opinion relates to the specific question of whether a claimed invention is directed to a law of nature. However, the analysis appears to have more universal application and is likely to be applied in financial services cases where the issue is whether an abstract idea is being claimed. The patent at issue claims a method for optimizing the dosage of a medicine used to treat Crohn’s disease and colitis. Specifically, the claimed invention recites administering the medicine to a patient, testing the patient’s blood for a metabolite, and then determining whether the current dosage is too high, too low, or just right, based on the metabolite level. The use of the medicine to treat these conditions was well-known before the patent was filed, as were the tests for the metabolite level and the existence of a correlation between the metabolite level and the dosage of the medicine. What was not known, was the precise metabolite levels that were so high as to cause harm or so low to be ineffective. Therefore, the inventor was the first to accurately determine metabolite levels that indicated a need to increase or decrease the dosage of the medicine for a patient. Supreme Court decisions have generally identified three types of innovation that are not eligible for patent protection: laws of nature, physical phenomena, and abstract ideas. While Mayo relates specifically to the “law of nature” analysis, the Court seemed to be setting forth an analysis that would be applied in abstract idea cases. In particular, it purported to derive its analysis from the Diehr and Flook cases, which were mathematical formula cases, rather than laws of nature cases. Furthermore, the Court also circled back after its primary analysis to confirm that the decision comported with the Bilski hedge fund case. 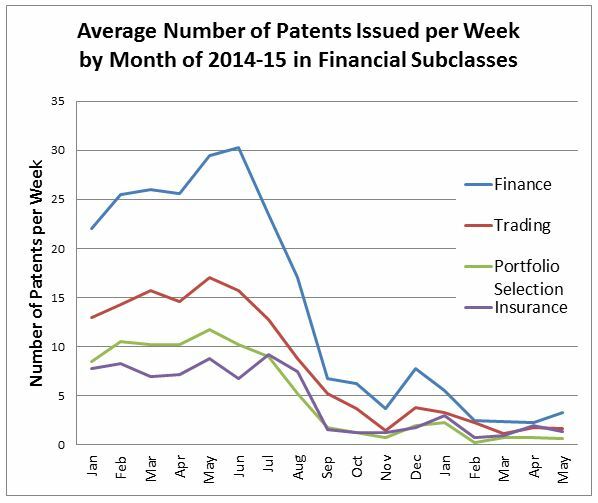 Therefore, the analysis of financial services patents is likely to follow the Mayo model—at least in so far as the claims include mathematical calculations or mental steps. The Mayo analysis appears to require a consideration of whether the claims–apart from the law of nature, mathematical formula, or (presumably) abstract idea–include anything novel and not obvious. The recited steps of the claim need to include some unconventional step over and above any new abstract idea or mathematical formula. This will likely be a stumbling block for several existing financial services patents that are in essence applying a new formula for calculating account values or payment amounts. In these financial calculation patents, the issue will become whether there are any unconventional steps or structures recited that convert the claims into a patentable application of the formula rather than just a re-statement of the formula. This case will likely be a popular tool for patent examiners to reject pending applications. In new and pending cases, we will want to craft claims that include steps or structures apart from any mathematical formulas or mental steps that can be characterized as being unconventional. 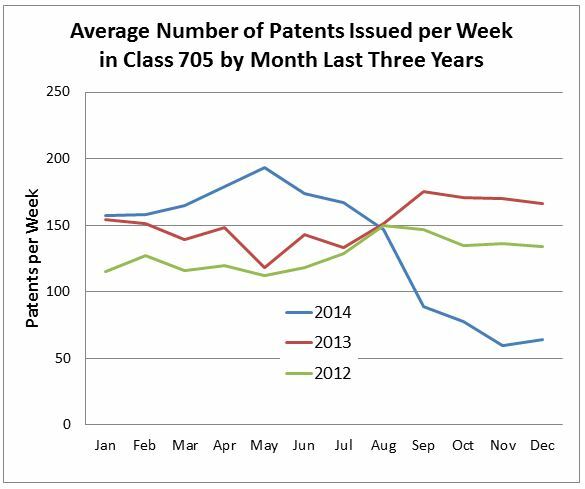 On its face, it seems like a bad case for patent owners and patent applicants, and good case for patent defendants. However, if it can be applied in a bright-line fashion such that it provides some certainty about what is an abstract idea and what is not, it may ultimately be good for patent applicants who can craft their applications to meet a known standard, rather than a moving target.